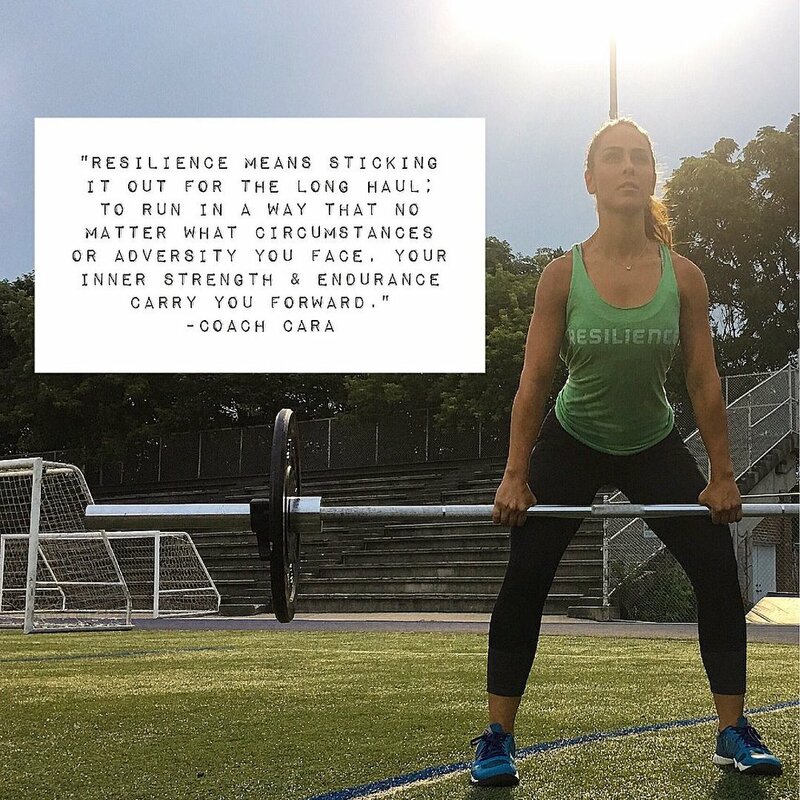 What do you bring to Resilience? “Give a man a fish and you feed him for a day. Teach a man to fish and you feed him for a lifetime.” As a trainer, I strive to expand and improve the services of resilience to provide clients with knowledge and information they need to reach their individual fitness goals. From individuals who are brand new to fitness to seasoned vets, I strive to continue to evolve resilience to elevate their fitness level, self-motivation, confidence and as a result improve their well-being. Clients can take this learned information and apply it to their fitness regiment in the future and/or apply it to personal goals. What is Resilience to you? Resilience is many things to me. It is a persistence to continue to bring new components to the fitness world and make an impact on those clients directly/indirectly involved. To face challenges that hold me back from reaching my most potential. To inspire clients to chase their passion whether it be fitness or non-fitness related. To consistently reflect on how I think and feel as a trainer…and to be content when I experience failure. Resilience to me is to overcome these failures/challenges with a positive mindset and to learn from my experiences whether they be positive or negative. Certifications: Can Fit Pro Trainer, Nutritional Advisor Certification, Functional Movement Screen Certification, Restorative Yoga Certification. (Union Yoga and Wellness), B. ED., B.A Hon. What do you bring to the Resilience Community? I create an atmosphere where people can leave their comfort zones confidently. I believe great things never come in comfort zones and that people truly grow when they test their limits. My faith. The opportunity to live in grace is a gift- -it is my foundation and inspires me to confidently chase the dreams in my heart. I want to see what God can do through me. That is my inspiration. It’s whatever I need it to be. It’s abundance in drought. It’s integrity surrounded by easy. It’s inspiration for people & communities. It’s having the unexplainable foresight and faith in all circumstances for something worth fighting for. Certifications: Agatsu Kettlebell Cert., B.A Hon. My aim is to continuously reveal the BEAST that resides in everyone, and to challenge the community in improving their fitness goals. 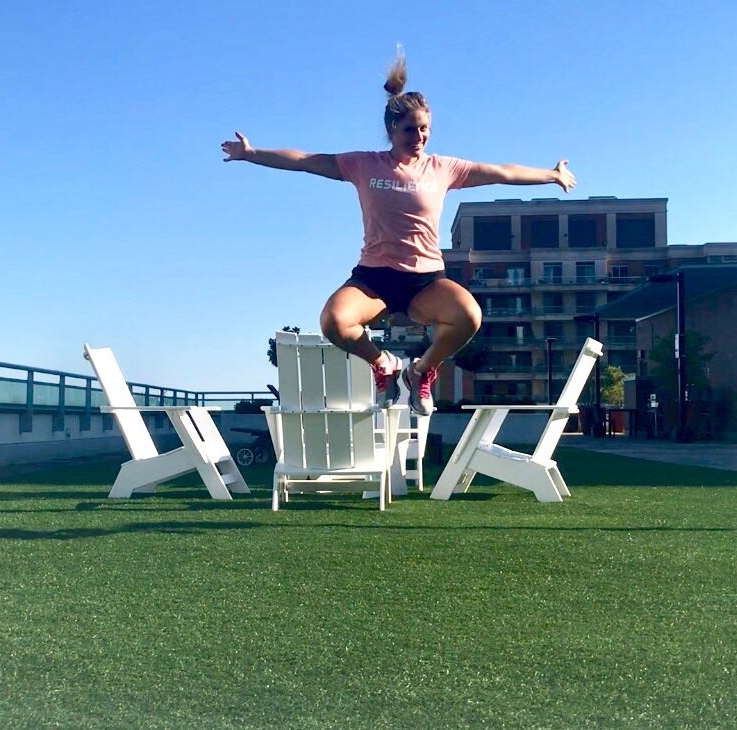 It never gets old when I convince members to jump higher, run faster, lift heavier and after they've done it, they always say "I never knew I could do that!" That statement motivates me to keep pushing them even further. My faith inspires me and is the driving force behind all my pursuits; it keeps me disciplined, humbled, motivated and hopeful. I'm also inspired by people who are fearless and set forth in pursuing and achieving their goals through hard work. Resilience to me means having faith and the belief in myself to never concede, because challenges are inevitable, but overcoming them will lead to growth. Certifications: CanFitPro Trainer, College Diploma Hon. I bring passion and vision to resilience. Passion can start a fire and when that fire is used correctly, it can blaze a trail for vision. People want to be apart of a movement of passionate people who have vision. That's all inside of me, so I gotta bring it to the table! I am inspired when I see people transform. When I see someone rise up from their lowest and step into their best, that inspires me. I am also inspired by humble people who do great things and go great lengths for others; especially when nobody knows it, see's it or understands how much they do "behind the scenes" but them. Resilience is a community to me..yes. There are a lot of communities out there though. But this one has potential. I really see that. Potential to do great things for others because the foundation is built on love. Everything great is birthed from that place. As a Resilience coach, I will push every member to reach their greatest potential. We as human beings are so much stronger than we think and we all need someone to help us challenge ourselves beyond the physical and mental limits that we create for ourselves. I will be part of each members’ journey to strive for greatness and reach their maximum potential. My family. They are the best and most loving people that I have ever known. They have all seen me at my highest and lowest points, and have loved me all the same --- unconditionally and with no judgement. They support me and challenge me every minute of every day and have taught me to keep living this life and stand up for what I believe in, no matter how hard. I strive to continue to live in their image and be the best version of myself. My true passion is creating an environment where everyone can thrive and change their own perception of what they are capable of through active encouragement. My enthusiasm and love for group training can be heard halfway across Toronto (spoiler alert: I am a bit loud). I am constantly inspired to be better than the man I was yesterday. Each day we are giving the incredible opportunity to be alive and create the life we have always dreamed of having. The choices we make every day greatly affect what will come tomorrow, so I try to do everything in my power to set myself and the people around me up for success with daily action to create our best lives. Resilience is the choice to get back up no matter the circumstance. It is our decision, not life’s or anyone else’s, to keep going through any trial or tribulation. True strength comes from making it to the other-side of that pain knowing you can handle all life throws your way. CanFit Pro, American Council on Exercise Certified Personal Trainer, American Council on Exercise Group Fitness Instructor, DTS Lean Body Coach, Functional Training Specialist, Senior Fitness Specialist, Active Aging Specialist, Bachelor of Arts from Howard University. 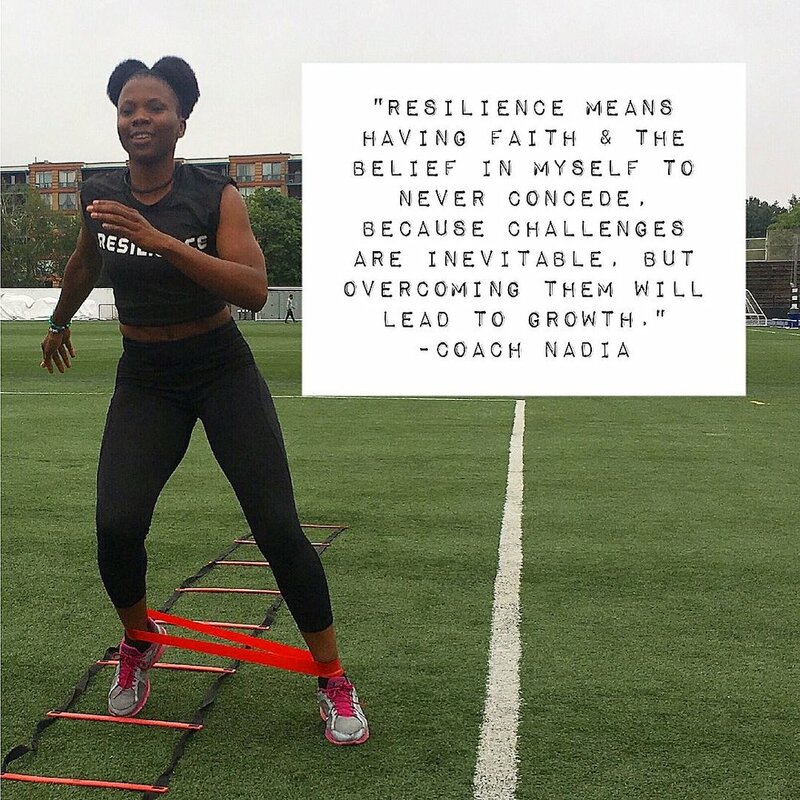 I bring a genuine love for fitness, I fell in love with the style of exercise and the community at Resilience Fitness. I value personal connections and a positive attitude, so as a coach, I love to see the enjoyment in everyone, at every level, pushing their hardest and having a great time together. John is born and raised in the Toronto area and grew up playing competitive hockey soccer and lacrosse. His love of sport led him to study Kinesiology at Brock University. John is also a certified strength and conditioning coach and fascial stretch therapist. He can help you with mobility, developing pain free movement and claiming your nervous system. Fascial Stretch Therapy is an assisted stretching system used to relieve tight joints and muscles, decrease or eliminate painful movement, and create lasting changes in your mobility. Clients will lay on the treatment table and be stretched for 15 - 30 - or 60 minutes at a time. Similar to a massage but with stretching! It is like exchanging your tight jeans fresh out of the dryer for your favourite pair of sweatpants!